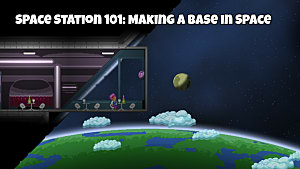 Released on July 22, 2016 by Chucklefish Games, the full version of Starbound received immediate praise from critics, scoring 8.1/10 on Metacritic, and quickly gathered a following of passionate players, with over 62,000 reviews on Steam, of which 90% were ranked as "positive" by the platform. Now, almost six months after the release, the game is in the 1.2.2 version and the developers plan on continuing the support for the title and adding more resources to it. 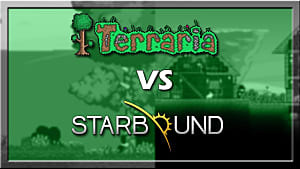 As players look forward to the future of Starbound, it is important to understand what the game is doing right as of now, before we look into the future. With this said, let's see what players are happy with in this game. 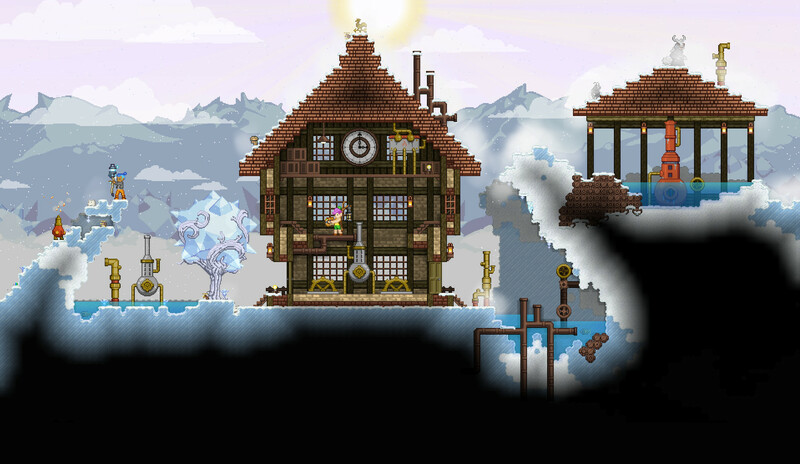 We could say that one of the selling points of Starbound is the number of locations a player can explore. While this statement is not incorrect, it also does not give the whole picture. Many games attempt to create a universe which is as large as possible, but in this process they end up with a world that is as large as an ocean, but as deep as a puddle -- No Man's Sky, I'm looking at you. What I mean by this is that many games try to have as many locations as possible, believing that this will convince players to invest their time and explore. It will not. Players look for diversity and interesting locales when exploring, but they also hate repetition, so finding the right balance between quality and quantity is paramount in a game that focuses on exploration. 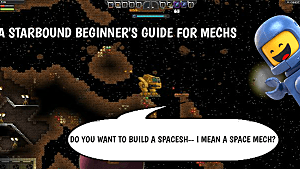 Luckily, Starbound gets it right. With a universe full of locations with interesting visuals and terrains to explore, players become invested in the experience, as they have the desire to continue playing to uncover the secrets of the world. 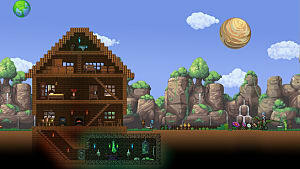 Games based on exploration are a tricky thing to do, but when done right, they can become powerful experiences and Starbound is a prime example. Video games are audiovisual experiences, so even if a title offers to players mesmerizing sights and interesting locations to explore, the art would not be complete without taking care of the audio. This is where the soundtrack comes in. 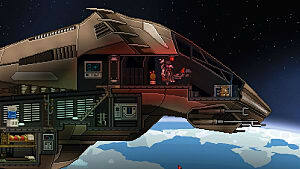 Composed by Curtis Schweitzer and Solatrus, the songs featured in Starbound complement with perfection the experience, but most importantly, while it certainly has an impact on players, the songs are not aggressive, meaning that it will not try to take player's attention by force with sudden changes in rhythm or pace. The audio and the visuals complement each other, as opposed to working against themselves, fighting for the player's attention. 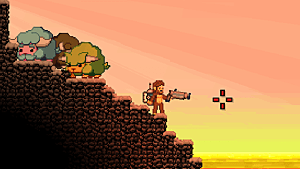 The universe of Starbound consists of a plethora of items for players to discover and this works together with the diversity of maps, by motivating players to explore even further, in order to find a new weapon or a new armor. 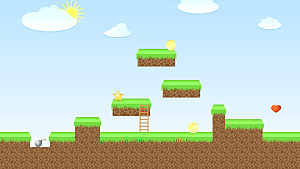 Not only that, but players can also find the resources required to craft these items, thus ensuring that players feel motivated to explore the universe of the game. With a crafting system that works in tandem with the many worlds players can explore, the items and the crafting system itself add depth to the experience, as they are complementary to each other. As previously stated, there are many reasons for players to enjoy Starbound, but the three mentioned above are the most meaningful ones. Disclaimer: these are potential features for the future, that are not guaranteed to be implemented through upcoming updates. Armor: The developer aims to add a new type of armor in this game, that will either be extremely rare or has massive requirements, perhaps both. User-made mission sharing: In the future, players may be able to create their own missions and share them with other users. Controller support: The developer wants to add controller support to the game, possible for the Steam controller. PS Vita: The developer wants to port the game to this handheld device. Dramatic Planet Modification: The developer wishes to increase the extent of how much players can alter their surroundings. Space combat: Another possible feature for the next updates is allowing players to engage in space combat, as well as the ability to board other ships. Server commands: More admin commands are likely to be added. Ship upgrades: The developers want to add more variables to how players improve their ships. Upgrades may also make the vessel travel faster between planets and be more efficient, using less fuel, for instance. 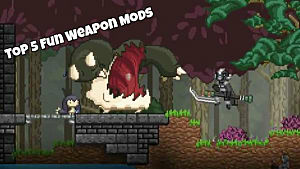 These are only some of the features likely to become a part of Starbound in the future. If you want to read the full list, you can check the Wikia article here. 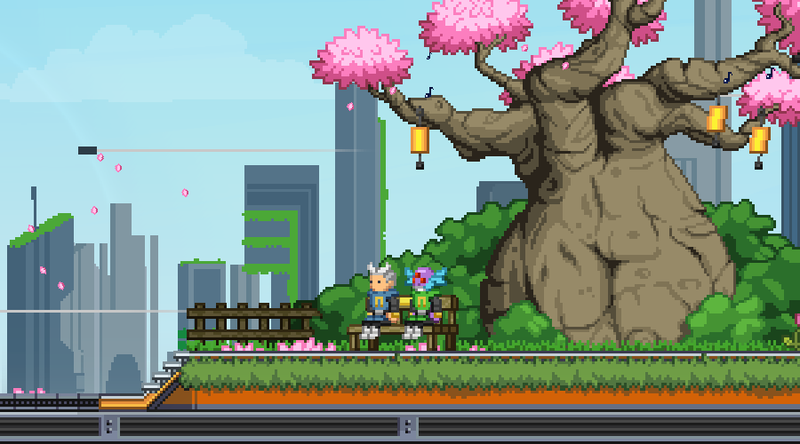 The developers of Starbound have succeed in designing an experience that the gaming community fell in love with, but in order to maintain the success of the game, it is important to continue adding new features and tweaking the existing ones. Through the list we have mentioned in this article, we can see that the plans for the future of this game remain ambitious and fans have more than enough reasons to keep looking forwards to the future of this title.